For value, comfort and convenience just two miles from Jacksonville International Airport, stay at the Days Inn Jacksonville Airport hotel. This lodging facility is located just one mile from River City Marketplace with its 30 shops and 23 restaurants, and within easy access of attractions like EverBank Field, JAXPORT, Jacksonville Zoo and Anheuser-Busch Brewery. 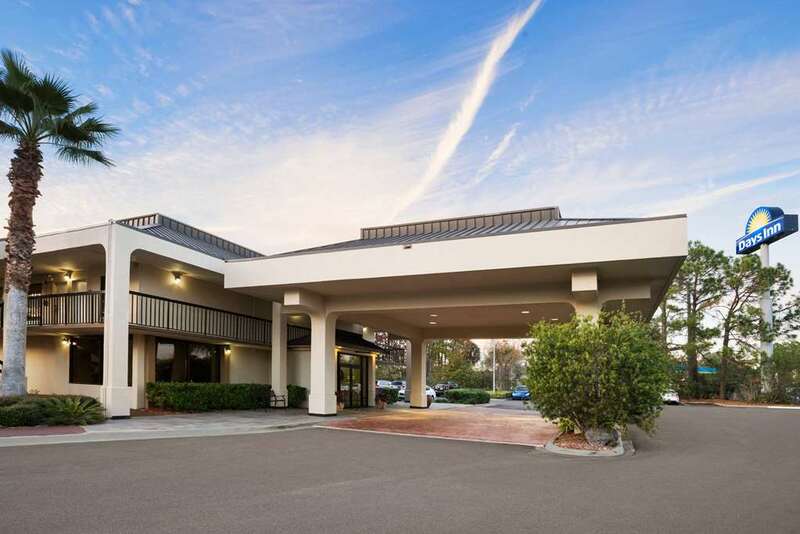 Amenities and services include complimentary 24-hour airport shuttle service, complimentary continental breakfast with hot items, outdoor pool, and complimentary wireless Internet access. Fly and Drive packages, and Cruise Packages with complimentary shuttle service to JAXPORT are also available. Guest rooms include flat-screen HDTV, microwave and mini refrigerator, and pets are welcome for a nominal fee.